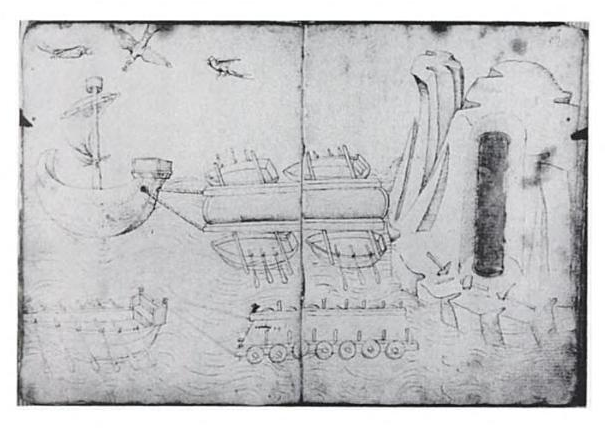 history « kNOw Future Inc.
Walter Benjamin met his end in the border town of Portbou in Spain on September 27 1940. Part of a group of refugees, he received assistance from Lisa Fittko at Port Vendres on September 23rd, who knew clandestine routes out of France to Spain through the mountains. Apparently he was the first refugee she assisted, later she was recruited by the Varian Fry network and would help hundreds of others along the same path (1). Some accounts claim they were already acquainted from Paris and Germany, but what is certain is that Benjamin had met Hans Fittko whilst imprisoned in the Vernuche camp near Nevers in 1939,who advised him to contact Lisa if he managed to get south towards Marseille (2). Traveling with two others, Frau Gorland and her son, they crossed the border on foot via Banyuls and into the mountains (3). Once into Spain the intended destination was Lisbon, from where they hoped to embark for the United States. Given its strategic location, Portbou received special attention from the secret police and it is known that the Gestapo were present. 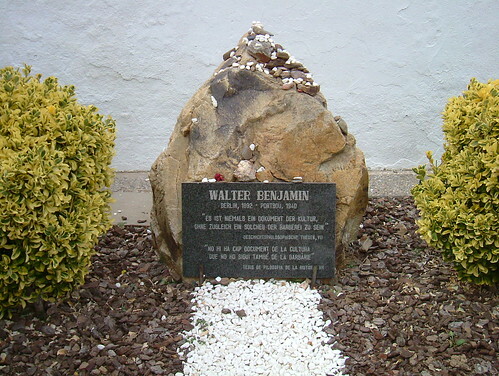 The cause of Benjamin’s death has never been clear; suicide or murder are the two most bandied about, and were explored by the documentary maker David Mauas in his 2005 film, Quien Mato a Walter Benjamin. He is buried at a beautiful site, overlooking the small bay on which Portbou is built, in the communal cemetery. One of his fellow travelers paid for his niche in the cemetery wall. A peculiar aspect to this method of burial is that the niches are not owned but rented, and in WB’s case this was a tenancy of five years. After that it is up to family members to renew the payment. As Benjamin had no affective connection to Portbou, his remains were consequently removed and placed in the communal grave. Somehow it seems strangely appropriate. European Copyright law specifies that works remain proprietary for seventy years after the death of the author, entering the public domain on the First of January of the following year. Having died in 1940, Benjamin’s seventy year sentence ended last year, and he was liberated on January 1st 2011. Works published during his life in German are now in the public domain. Welcome home, Walter, we never stopped thinking of you.